Did you know that U.S. government statistics state that more than 10% of all car accidents fall into the hit and run category? The state of California has the highest number of any state. Car accidents are stressful enough. A hit and run accident brings other stresses and challenges. If you are involved in such an accident, you will want to report any information you have to the police. Also, consider consulting with an experienced personal injury attorney. Contact Russell & Lazarus, APC today. What Exactly Does a “Hit and Run” Accident Entail? A hit and run is exactly what it sounds like. When a motor vehicle driver hits another person, object (e.g. utility pole), or another vehicle, and then flees, that is a hit and run. California law identifies two types of hit and run. There is a misdemeanor offense and a felony offense. Both laws require the driver of a vehicle that is in an accident to stop. 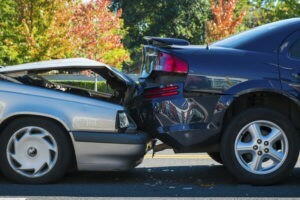 Moreover, the driver that causes the accident has an obligation to locate the property owner, or exchange information with the other party (e.g. name, address, vehicle description, and insurance information). Misdemeanor hit and run occurs if you cause property damage. This offense carries up to six months in jail and fines up to $1,000. Felony hit and run occurs when you injure or cause death to another that you hit. Depending on the severity, this can carry jail or prison time up to 4 years and fines up to $10,000. If the court changes the charge to vehicular manslaughter, you could face an additional 5 years in prison. Hit and runs are no joke. Victims can face damages and injuries. If you are a victim, contact an experienced attorney today. Why Do People Flee Accident Scenes? A hit and run accident can happen anywhere and at anytime. Anyone can be a victim. However, there are some usual circumstances in which a person runs from the accident scene. One reason is a driver does not have car insurance. It is against California law not to carry car insurance. This can cause the accused to flee an accident scene. Another reason someone might flee is if they are under the influence of drugs or alcohol. Finally, if the accused is wanted by the law for other reasons, they may leave the accident scene. How Can Authorities Locate a Hit and Run Perpetrator? First, if you have injuries, seek medical attention. This allows you to not only get treatment for your injuries, but also can serve as documentation. You may need this later as evidence to authenticate your damages. Second, if there are any witnesses, get their contact information and account of the incident. Fourth, assemble any other pertinent information, such as license plate numbers, videos, or photos. Finally, consider seeking legal counsel, even if it is just to learn your rights and recourse. Hit and run accidents are stressful. If you sustained injuries, that stress becomes more severe. Contact an attorney to discuss your recourse and legal options. At Russell & Lazarus APC, we are experienced in handling all types of personal injury cases. Call us today at (888) 907-2176 for a free consultation.